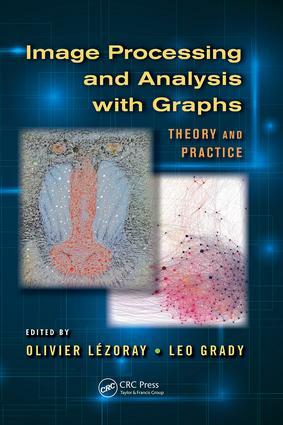 Covering the theoretical aspects of image processing and analysis through the use of graphs in the representation and analysis of objects, Image Processing and Analysis with Graphs: Theory and Practice also demonstrates how these concepts are indispensible for the design of cutting-edge solutions for real-world applications. With the explosive growth in image production, in everything from digital photographs to medical scans, there has been a drastic increase in the number of applications based on digital images. This book explores how graphs—which are suitable to represent any discrete data by modeling neighborhood relationships—have emerged as the perfect unified tool to represent, process, and analyze images. It also explains why graphs are ideal for defining graph-theoretical algorithms that enable the processing of functions, making it possible to draw on the rich literature of combinatorial optimization to produce highly efficient solutions. Use of graphs has become very influential in computer science and has led to many applications in denoising, enhancement, restoration, and object extraction. Accounting for the wide variety of problems being solved with graphs in image processing and computer vision, this book is a contributed volume of chapters written by renowned experts who address specific techniques or applications. This state-of-the-art overview provides application examples that illustrate practical application of theoretical algorithms. Useful as a support for graduate courses in image processing and computer vision, it is also perfect as a reference for practicing engineers working on development and implementation of image processing and analysis algorithms.